A few days after booking my tickets to Southeast Asia with my friend Laura, I got an email from her with the subject: “I need this” followed by “more than anything” in the body. Below that, she included links to the Yi Peng Lantern Festival in Chiang Mai that just so happened to be going on during our two weeks together. After watching the videos – a real-life scene as magical as the scene it inspired in Disney’s “Tangled” – Laura and I made the Yi Peng Festival the center of our trip and that turned out to be THE BEST decision possible! 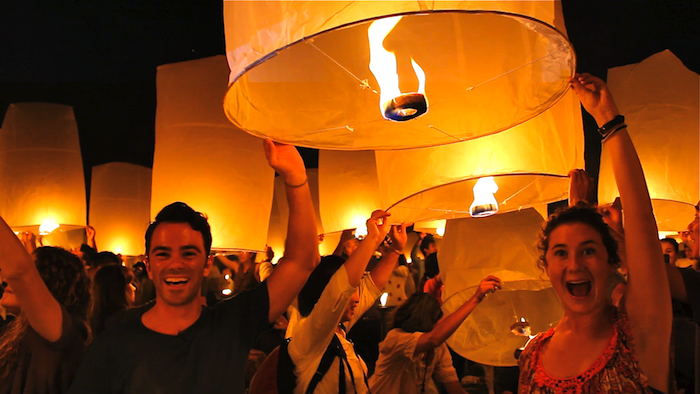 If you’re going for the Yi Peng Festival, Chiang Mai is a great place to stay and explore. Located in northern Thailand, Chiang Mai has a small-town vibe with metropolitan ways, a rich history and picturesque nature. Depending on where you’re coming from, Air Asia offers flights from surrounding cities (like Bangkok), but travelers also take trains or buses. 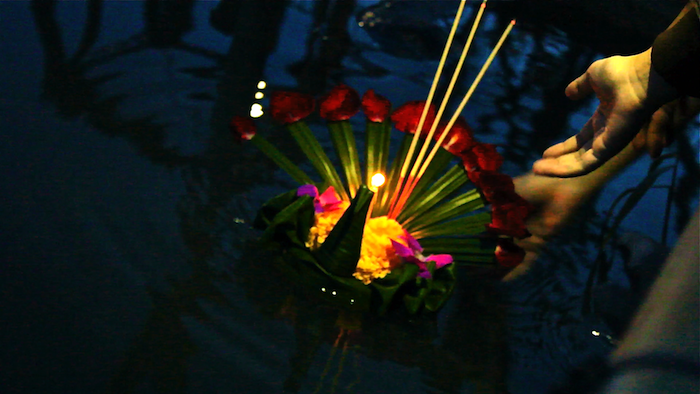 Yi Peng (Yee Peng) and Loi Krathong are both celebrated during the full moon of the twelfth month of the Thai Lunar Calendar (this falls most often in November). Loi Krathong is celebrated throughout the entire country of Thailand as well as parts of Myanmar and Laos, while Yi Peng is just celebrated in the northern region. To celebrate Yi Peng, lanterns are released into the night sky; to celebrate Loi Krathong, candlelit katongs (little handmade boats) are released into rivers and other bodies of water. Before 2016, there were two main Yi Peng Lantern Releases – a free one for locals and another specifically for tourists that cost money. The free release (a.k.a. the local and traditional one) happens during the full moon, while the tourist celebration happened a week later and cost about $100USD. We went to the traditional festival that took place at Mae Jo University, where thousands of local residents and international travelers gathered in celebration. IMPORTANT UPDATE: After 2015 unfortunately the free release has been canceled. For both 2016 & 2017 there was one release – the tourist celebration. The 2018 release is going to be held on November 22. There are two main events 1) Yee Peng Doi Saket & 2) Yee Peng Lanna International. Unfortunately BOTH are already SOLD OUT. For resources on trying to find tickets and more information, the Yee Peng Lantern Festival Facebook page is helpful. There is another event 3) CAD Khom Loi Lantern Festival at the Cowboy Army Riding Club that still has tickets. It is more important than ever to plan attending this trip in advance! 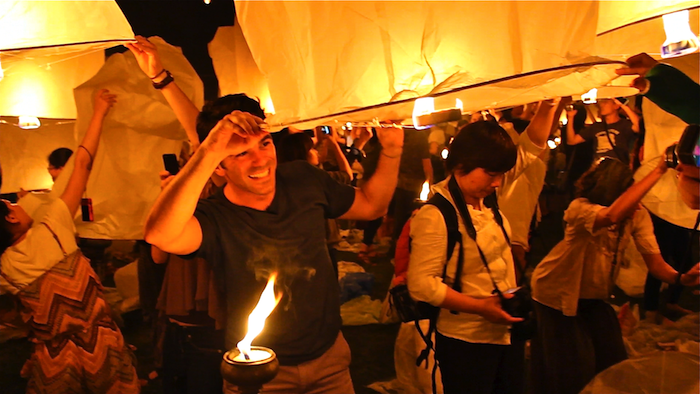 After figuring out the traditional Yi Peng Lantern Release was going down (or I should say up!) at Mae Jo University, we opted to make a whole day out of it because of the crowds. The owner of our AirBnB in Chiang Mai helped us coordinate a shared van with a group of local ESL teachers. The group left early (around 3pm) to try and avoid the massive crowds and subsequent traffic. As we walked around Mae Joe University, we bought our lanterns and ate street food from local vendors. 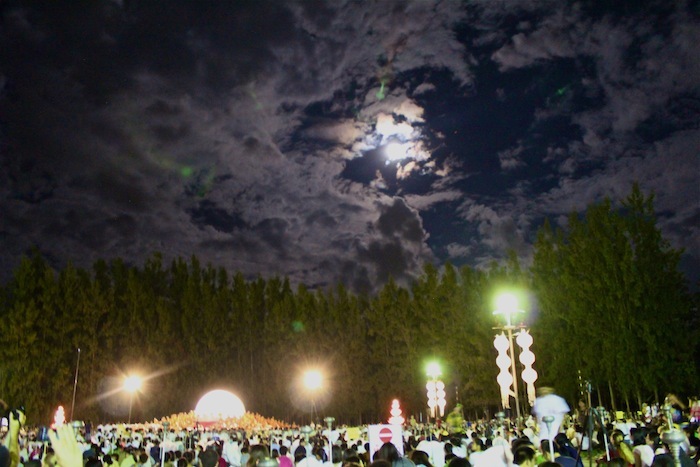 Although it was still daylight when we arrived, thousands of people were already waiting and ceremonies were underway paying respects to Buddha. Before arriving, we didn’t realize that the Yi Peng Festival wasn’t just about the actual lantern release. The hours of prayer, meditation and rituals beforehand are just as important. Everyone was told to wait to light their lanterns until the first release, but rogue lanterns made their way into the sky throughout the early evening. Looking around at people gathered from all over the world, I could feel the electricity of the moment. When the time came for the first release, we lit our lanterns using torches and waited for the signal to let go. Words cannot describe how incredible this moment was. 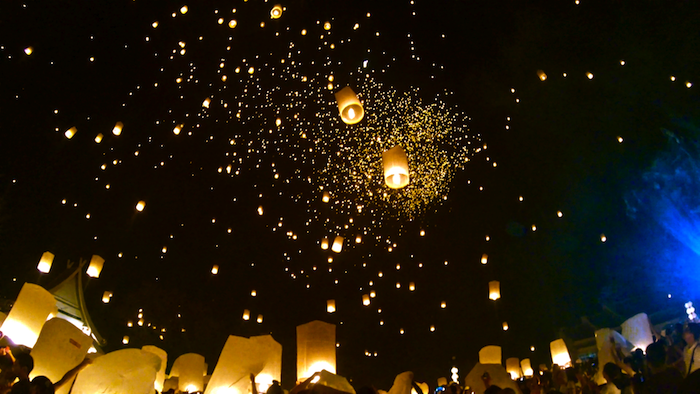 Throughout the night thousands of lanterns were released into the sky. My friend Laura and I released a second lantern together that she dedicated to her fiancé, Matt. Once the celebration was over, it was chaos. The enormous crowd moved at an extremely slow pace. At one point we crawled through barbed wire, walked through water and searched for each other among thousands of people. It took us over an hour just to find our driver. A few of the girls in our group had a Thai phone and our driver’s number, but the service was spotty. Travel Tip – I would recommend coming up with a good plan for finding your way out of the festival! If you have a driver, pick a specific location to meet. From there, your driver can walk you to wherever he was able to park his car. The trip back is definitely crazy, but it’s a small inconvenience for an otherwise magical evening. By the time we figured out we were headed to Chiang Mai for Yi Peng, almost all of the hostels were booked. We had luck using AirBnB and stayed at the following listing. Overall the accommodations had everything we needed and if you can survive being a minimalist, you’re good to go. It’s in a great location (everything was walking distance), good internet, and has great owners, Stephen and his wife, who gave us a ton of useful information and helped us with anything we needed. 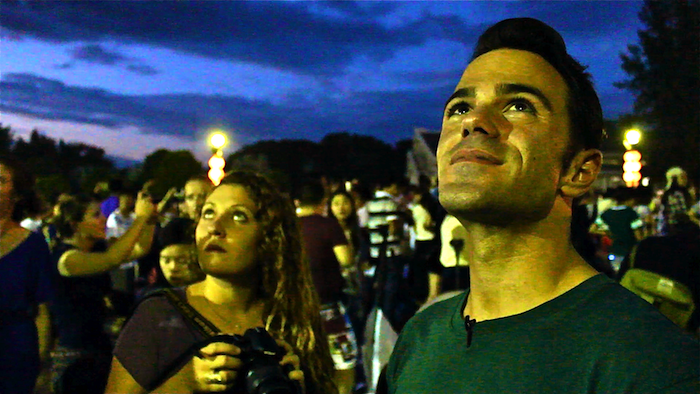 Traveling is all about once-in-a-lifetime experiences and the Yi Peng Festival was exactly that. It truly was the most beautiful experience of my life. 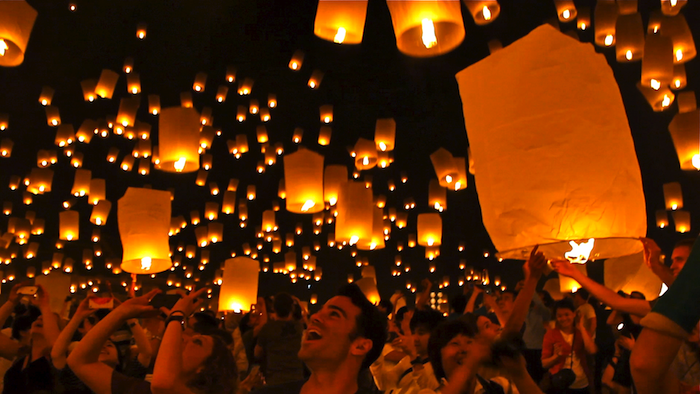 The festival is about so much more than just lighting and releasing lanterns. Gathering in prayer beforehand with thousands of strangers from all over the world was an unexpectedly spiritual moment for me. It gave me the opportunity to reflect on my life and prepared me to let go – with my lantern – sources of negative energy, representing a new beginning. Yi Peng was such a majestic experience and to this day still feels like a dream (come true). If you’re ever planning a trip to Thailand, do yourself a favor — plan it around attending Yi Peng. Incredible!! What an experience Justin! Thailand has always been a dream destination for me. And the lanterns are something I’ve always wanted at my wedding. This inspires me even more! Thanks for sharing this with us. Thank you so much! It’s such an awesome place and experience, make sure when you go to Thailand it’s during Yi Peng! My friend Laura (who was there) actually had me do a lantern release at her wedding on the beach! It was really touching and everyone loved it. Keep me posted on your travels! Wow! What an experience! My friend Sabs did a lantern release at her wedding along the Nile and it was amazing — though quite windy so the lanterns all went to one direction versus just going up above us. 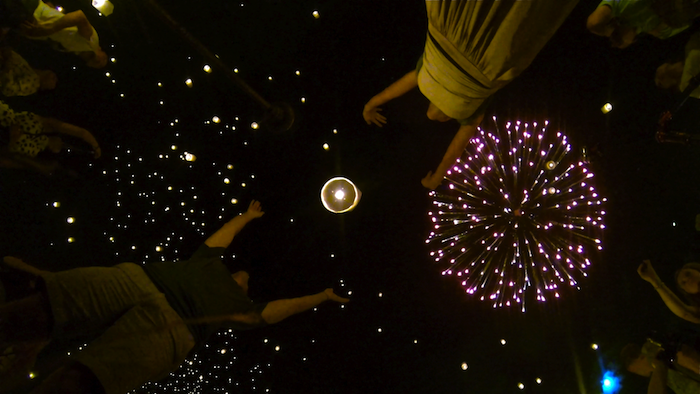 That photo of you and Laura releasing the lantern from below was epic! Was that a GoPro camera? I hope you do this at your wedding Justin! The entire experience was epic! That picture is from a GoPro camera, good eye! 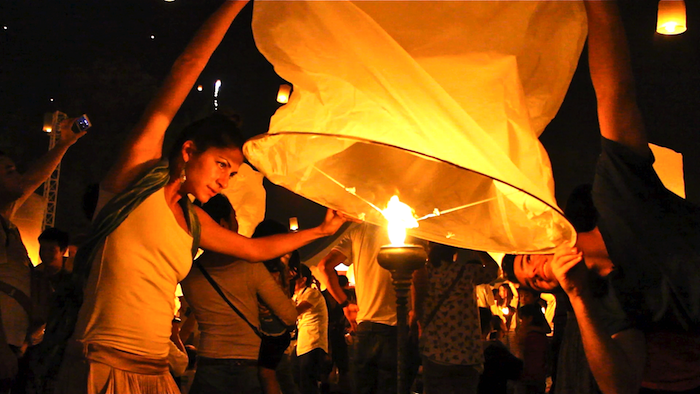 Last summer Laura actually asked me to run a lantern release at her wedding in Mexico. It was so touching to be able to share a part of our experience with all of her friends and family. Everyone loved it and it was beautiful! I appreciate that a lot. 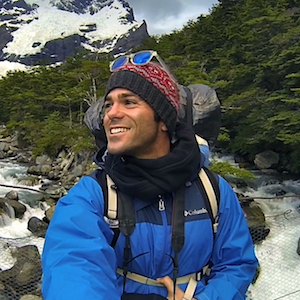 I love traveling and sharing my adventures to hopefully inspire others to go explore! I’m so glad you found and used my blog to help plan your trip to Yi Peng! It’s an INCREDIBLE experience. I’ve reached out to the organization that passed along the updated info to me and will let you know if there are any changes. You should also send an email to mypittravel@gmail.com to see what information they can pass along. Let me know if you have any other questions, happy to help and am so excited for you guys! I am traveling to Thailand for the month of November and will be in Chiang Mai for the festival. 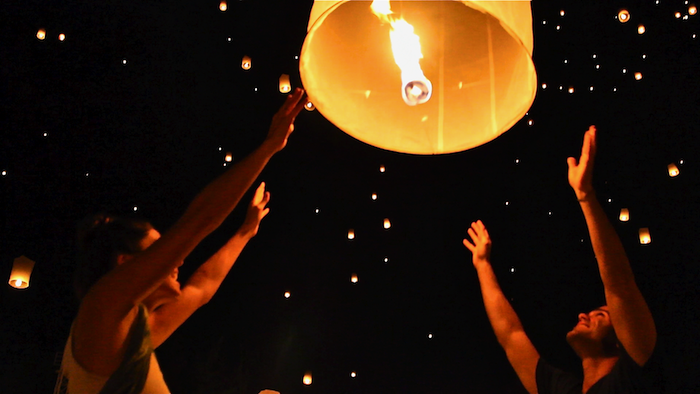 Have you heard anything more about the free mass lantern release? Thanks Lisa! So far I haven’t been able to find specific date info about the free lantern release. A couple of sources have told me that there will only be one this year, on Wednesday November 25th and you need tickets. However, the good news is if you’re in Thailand for the month of November you’ll be able to find out first hand what is going on regarding the releases. Before my trip we tried so hard to find info and couldn’t get anything really concrete before we go there regarding dates. I’ve reached out to some locals in Chiang Mai to see if they can provide me with more info and will let you know! Keep in touch and when you’re in Thailand let me know what you find out. Hi Ivy! I’m so excited for your upcoming trip! Thailand is incredible and Chiang Mai during the festivals is an incredible experience. I’m still on the search to find out if the local “free” release is not actually happening and will let you know if I hear anything. Let me know if you have any other travel questions and definitely keep me updated on your trip. Hi Jess! Thank you so much for the compliment on my photos. They are a combination of photos taken from my GoPro and Canon EOS Rebel T3i Some are even screen shots of moving video taken on those cameras. None of them were on a tripod. Let me know if you have any other questions for photo tips. Yi Peng lends itself to gorgeous photos no matter what! Thanx for you post ! Im from France and I plan to come to Thailand in November. I wanna see the launch of lanterns, thats what brings me on your blog. But I didnt expect that to cost $100 lol… Plus, if i get it, its not possible to buy lanterns anymore? Hi Laura! Thank you for checking out my blog. The “tourist” Lantern Festival is on Wednesday, November 25th and online tickets are sold out. Unfortunately the “local” release has been cancelled this year. This is still a magical time of the year in Thailand and I hope you have a great trip if you go! Hey Justin! I just got to Chiang Mai and super disappointed to hear the tickets are already sold out! 🙁 I just wanted to take pictures as I’m a photographer, not do the release. Is the event being held at Mo Jo University and are there spots outside of the event where I can still get pictures? I’m on motorbike so can get anywhere. Thanks! It’s such a bummer that the free local release was cancelled this year. Your best bet is to get as close to the university as possible for the tourist release. If you have some time before or the day of I’d recommend taking your motorbike and checking out the scene. Maybe you’ll even be able to find a ticket from someone in Chiang Mai, talk to everyone and hope you still get to experience the event. Let me know how it goes! Thank you for the blog, it has a lot of useful information. 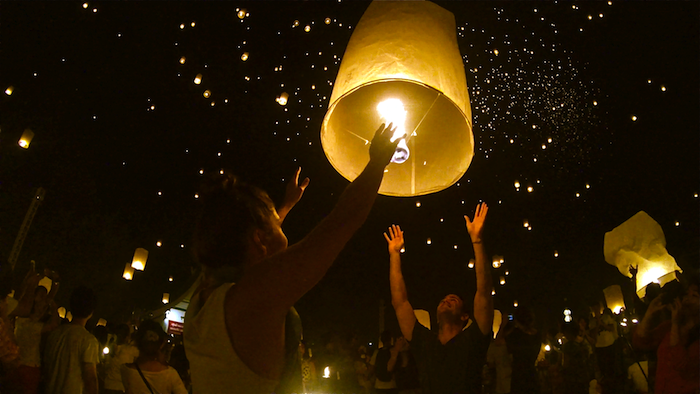 I am really sad, the tourism office in Thailand doesn´t have warned me of the cancellation of the “local” festival and I didn’t know that I had to pay for the “tourist” release of lanterns. I am in Chiang Mai from the 23 until November 27. We are willing to pay more money. We only need two tickets please, we paid a lot of money. Who can we talk? To whom can we write? Hi Carla. I’m so sorry about Yi Peng! I’ve been talking with a lot of upset travelers over the cancellation of the “local” festival, which upsets me too. I really can’t believe they are only allowing the “tourist” celebration that is sold out. 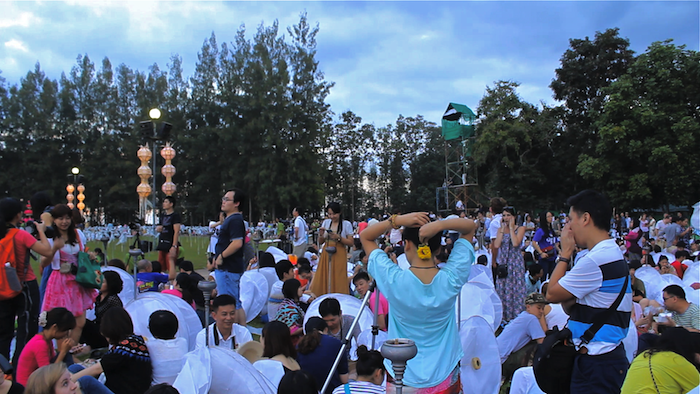 With that said, being in Chiang Mai during Yi Peng and Loi Krathrong will still be an incredible experience. It truly is a magical time in Thailand. I would recommend while you’re there the 23rd and 24th talk to as many people as possible in Chiang Mai about tickets (maybe put up signs) and alternatively seeing how close you can get to the release even if you don’t have tickets. 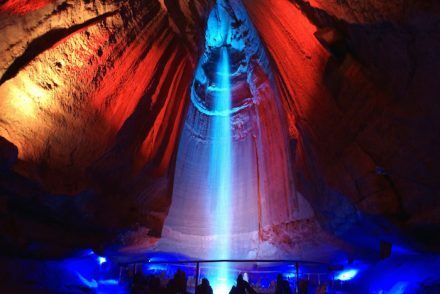 You can try to hit up mypittravel@gmail.com or https://www.facebook.com/LANNADHUTANKA. If I hear anything I will let you know and wish you luck. I’ ve been trying to get the ticket but it seems hard to get. Thank you for your web site, now I really understand about this festival. Would you tell me how can I see and join the festival? Hi Nami. Unfortunately the free, local and traditional lantern release was canceled this year. 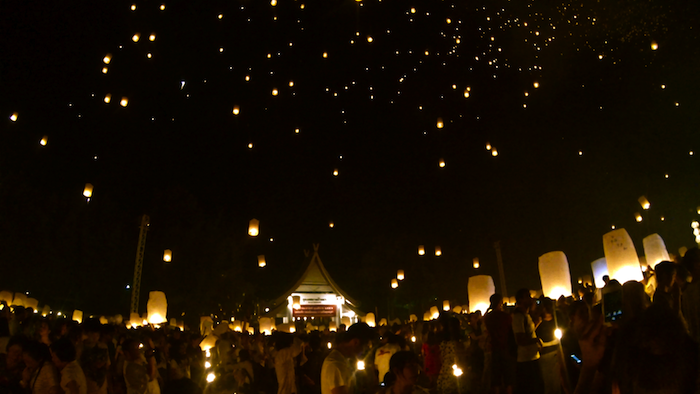 Lanterns are allowed to be released on November, 25 2015 when the “tourist” celebration is happening. Tickets for that have been sold out for weeks and you can try contacting mypittravel@gmail.com or https://www.facebook.com/LANNADHUTANKA. 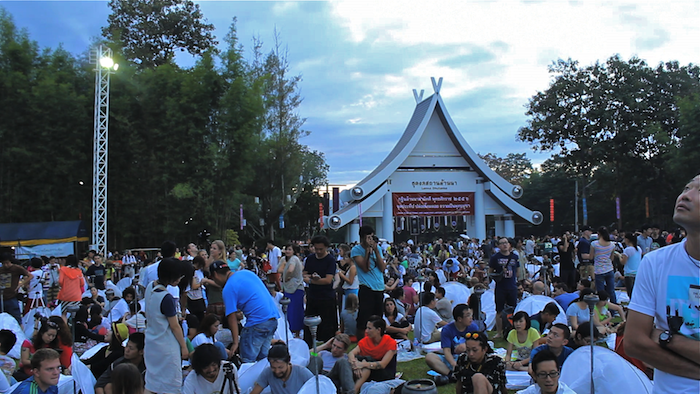 I am recommending that when you’re in Chiang Mai before the 25th talk to as many people as possible to see if you can find a ticket or try to get as close to the event as you can. Hi Justin! I was wondering what time in the evening does the sky start to fill up with lanterns? Btw your blog if very informative and visual. I enjoyed reading it! Thank you! I hope you were able to enjoy being in Thailand for Yi Peng. Hi Erik, were you able to check out the website that they sell tickets on http://www.pitchiangmai.com. Let me know if that helps! 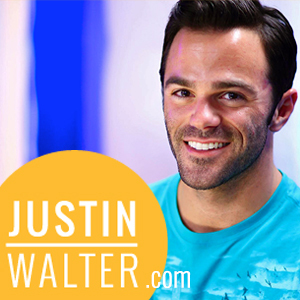 Justin – Your site is amazing and this article and the pictures are beautiful! What an incredible experience. Your post was extremely helpful in understanding the festival a bit better (I only wish I had discovered it 4 months ago before tickets sold out…there’s a lot of bad/old information out there that can make it confusing!). I know a lot of people have asked but do you happen to know if there are any companies or other sites with ticket/tour options? I checked out your suggestions above and also emailed the gmail you suggested, but thought I’d ask if you had any local friends there that might have more information? I was trying to figure out if a Craigslist type site existed overseas for ticket sales but am not having luck with that either 🙂 any help is appreciated and if not, no worries either and happy travels!! Tara, thank you so much for the kind words. Have you had any responses yet from people you’ve reached out to? I don’t have any local contacts there anymore unfortunately. I’ll try to dig up some info and will let you know if I find anything out. I’m so happy that you were able to get a ticket! And that my blog helped!! Please let me know how it goes and send pics. You’re going to have the best time. Live in the moment while you’re there. Hi Tara! 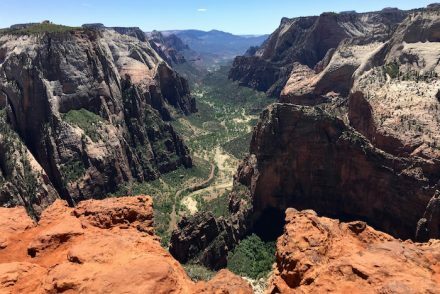 I am SO HAPPY to hear that you had a magical experience and that my blog helped you on your trip! Puts a huge smile on my face and warms my heart. Did you post on Instagram or Facebook? If yes, let me know where and I would love to check out your photos. 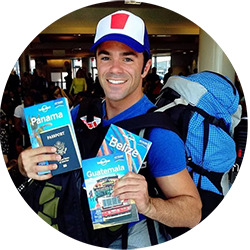 More than happy to help and let me know if you ever have any other travel questions. Hi Rogie! It is a magical experience, one of my favorites. It looks like the website where the tickets used to be sold is down. I’ve messaged the Facebook group asking for more info. You can try as well and I’ll update you with info once I find out more. Here’s the Facebook group in case you want to reach out as well – https://www.facebook.com/LANNADHUTANKA. 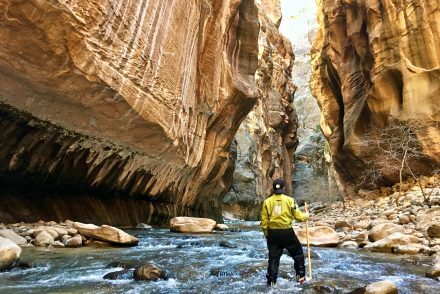 Welcome to My Adventure Travel Blog!